There is no infant Benadryl on the market currently; however, your doctor may recommend that your baby take the lowest dose of Children’s Benadryl. The active ingredient in Benadryl is diphenhydramine, an antihistamine that helps to relieve the symptoms of allergies, including runny nose, cough, and itchy eyes. Read on to see Benadryl is an option for your baby. 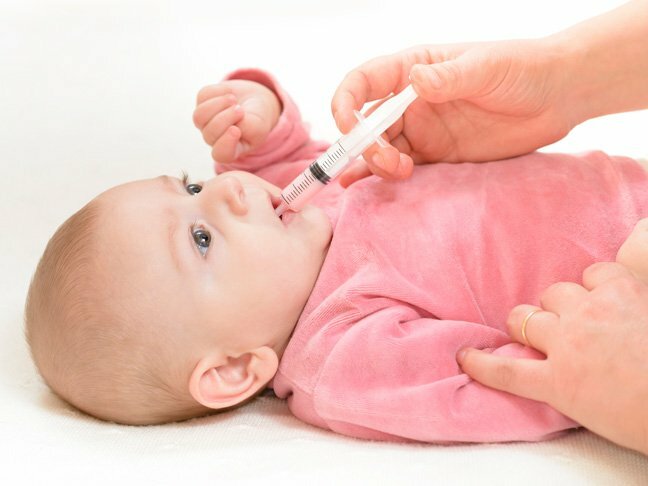 What is the correct dosage of Benadryl for infants? Always consult your baby’s pediatrician before you give your child Benadryl. There is no specially formulated version of Benadryl for babies (Children’s Benadryl is recommended by the manufacturer for children under age 6). Benadryl can cause drowsiness and sedative behavior in babies. This dosing chart from the Pediatric Associates of NYC provides information for infant doses of Benadryl; however, you should double-check with your baby’s pediatrician before giving your child the medication. What are the common uses of Benadryl for infants? Pediatricians may recommend you give your baby Benadryl for insect bites, allergic reactions, seasonal allergies, and other allergy-related symptoms such as runny nose, watery eyes, sneezing, itching, hives, and rashes. The active ingredient, diphenhydramine, works to relieve allergy symptoms by reducing the effects of histamine in the body, but it does not treat the cause of these symptoms; its purpose is simply to help your baby feel more comfortable. Benadryl can be used safely when administered appropriately and as directed by your pediatrician. What are the risks of using baby Benadryl? Benadryl should only be given to babies when absolutely necessary — and only with the permission of your child’s pediatrician. There have been instances of diphenhydramine overdose in infants resulting in serious complications and even death. Pediatricians are often reluctant to give out dosage information freely because many will abuse baby Benadryl in order to put babies to sleep. No matter how exhausted and frustrated you may be, Benadryl should never be used to put a baby to sleep. If you are still tempted, consider this 2006 study that found using Benadryl before bedtime for a weeklong period did not improve parents’ happiness with the sleep patterns of their babies. In many cases involving children, adverse effects like excitement can occur and actually make it more difficult for a baby to fall asleep despite being tired. Remember, also consult your pediatrician with any questions you have about Benadryl for babies. Your child’s physician is the only person who can give you the dosage information for your baby with 100 percent confidence.